A date like 28th of September 1999 probably evokes nothing for most of you new age gamers, but to me, that is the day I fell in love with Homeworld, a successful attempt by the new kids on the block Relic Entertainment, in their attempt to break into real time strategy games (set in space). Its sequel, Homeworld 2, had us fans wait four more years before the franchise broke radio silence. And as with some other type of gaming fossils, like Grim Fandango, Homeworld, Homeworld 2 were dusted out from the development attics back in 2013, thanks to 2K Games and Gearbox, which recovered the legal licence from the smoldering ashes of THQ, and announced the return of the space strategy game bundled in one pack, with redefined graphics and other features. 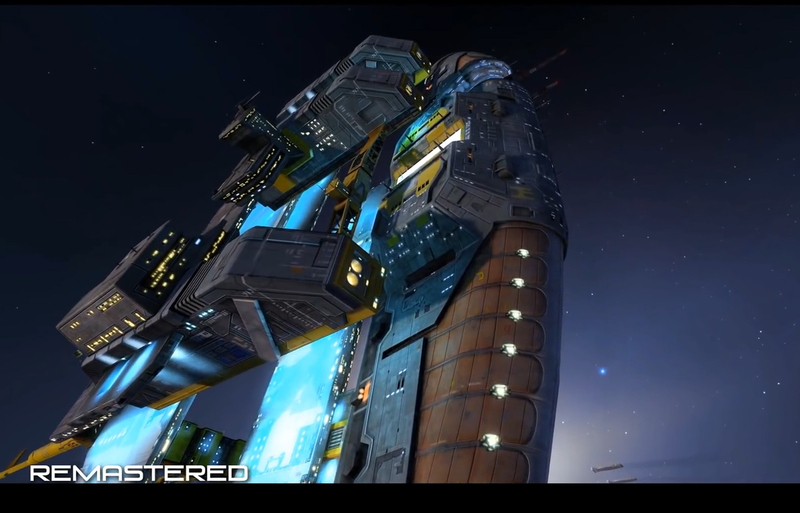 Here’s our review of Homeworld Remastered Collection. If real-time strategy games was an overcrowded genre at the end of last century, with Starcraft, Total Annihilation and other title done by Ensemble Studios (Age of Empires), Homeworld quickly stood out by its gruesome gameplay set in 3D space, where many have left – and still will – their teeth in. A decade and a few gray hairs later, the two episodes of the franchise, which show the same age, were still played by a few Kushans and Vaygr (the two game factions) diehard fans, with a hint of community based mods. Thus, were born Battlestar Galactica, Star Wars or even Star Trek mods, which weren’t that amazing, but had the merit of fans in search of new content. Now in 2015, Gearbox puts some order in this mess of mods and emulators, and release Homeworld Remastered Collection, the same two stories we loved, in both original and modern versions, properly accessible by a common app launcher. And this is how you start your journey with the Kushans, exiled for countless years on the arid planet Kharak, in their quest to go back to their Homeworld, the planet Hiigara. The journey that follows, far from a leisure stroll around the galaxy as you could imagine, start with the outright annihilation of the planet Kharak by a sizeable opponent, the Taiidans. The second opus of the game, will take you a hundred years after these events, with our Hiigarans facing a new enemy that aims to claim supremacy of space: the Vaygr. With a good ten hour campaign (per installment), I had flashbacks of the inherent difficulty in this game. Even after sixteen years, and finishing both episode when they were originally released, some missions are pretty darn difficult or even devious. There’s lonely moments that haunt me when I accidentally moved my entire fleet on into radioactive area of the map, almost hearing the screams of my pilots when their frigates exploded. But as discouraging these moments are, they are never deeply frustrating, and these solo campaigns always offer varied objectives: extermination, defend points of interest, destroy asteroids to protect our vessels, etc. Rather than rest on an eternal starting point and gruesomely harvest resources, this space sim always gave a little breath of fresh air in the economy system of strategy titles, and your actions (built ships, ressouces gained, destroyed units) will carry on the next mission. This so-called gift, however, can quickly turn to anxiety because if you finish a mission with three poor harmless scout vessels as a fleet, it will be quite difficult for you to be successfull, when half a dozen ships heavy fall you the maple. I’ll end up leaving the mission to restart it on a happier note, and save my chances of survival to the next. But I won’t spoil the pleasure involved in making the campaign a truly fluid experience, where growth is emerging both in the missions as in the game as a whole. Since it is in the old pots that make the best soups, Homeworld Remastered Collection kept the same mechanics, which were already difficult at the time. You begin with your Mothership, which will be your starting point for all actions, starting with the harvesting of few resource available in space nebulaes and asteroids. Yet this common factor postulate a large majority of RTS, you end up also scouting for other universal variables and upgrading technology. This will require you to juggle your production of hunters, corvettes, frigates and heavy vessels (cruisers, destroyers), by releasing the first production modules on the Mothership, and go through the improvements nodes, which will give a bit of a sizeable boost to your squadrons. If it seems comfortable at first glance to rest on an imposing mass of vessels to get the better of his opponents, clashes against the AI or other players (i’ll get into multiplayer later on) is more a slow and progressive style of play. Taking information with scouts or probes remains essential to unravel the intentions of the enemy, and thus respond with a suitable army composition, making the best of your weaknesses and strength. Trust me when I tell you that you can stupidly lose a cruiser, the pride of your fleet, against some anecdotal frigates because you were swarmed. The specific multiple playable races in the game are as diverse visually as gameplay wise. It’s meant mainly to facilitate a little micromanagement, not necessarily the most obvious, but quite accessible for veterans: control groups, ability to assign sequences of commands, specify training, etc. Many details will all have their importance and will push more or less different strategies. It even goes as precise as ship weakness points, for example, aiming at the destroying the most important vessels, or their turrets. It offer more cunning approach, where we will happily shoot from afar a destroyer’s propellants, pitting it into place. However, the differences between the races of each title are few. The contrast will therefore largely be on the ability to disrupt the economy of the enemy by sending fast and inexpensive vessels to swarm them. 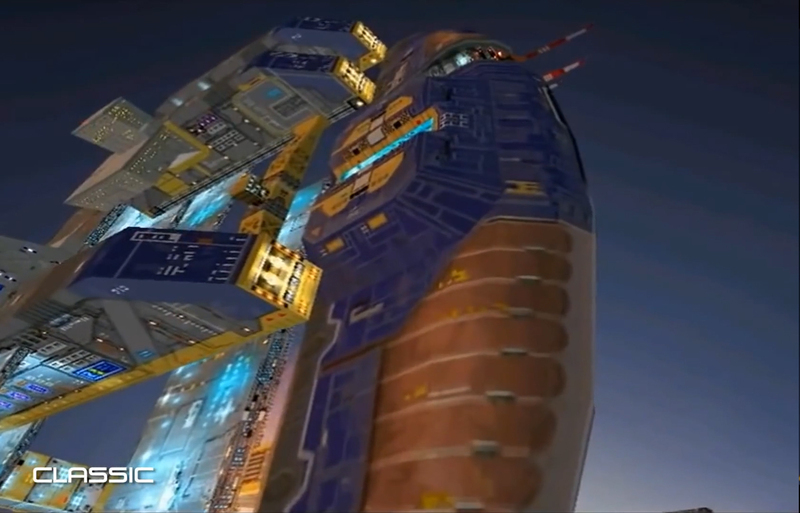 The movements will also be a prominent variable in Homeworld: maps are set in three dimensions, rather wide, allowing travel on all sides with even altitudes, by adjusting your ships’ trajectory with “Shift”. It’s not easy at first, and can become quite demanding when you are under attack, but nothing beats a great use of strategics counter attack, and swift stealthy use of the map. The Collector’s Edition of the game has been designed based on the community. It features a 13-inch Pride of Hiigara mothership model, a A revised Historical Briefings and Artwork book and A die-cast Angel Moon Homeworld keychain. Totally worth the $100 price tag, especially if you are a Homeworld fan. My only problem is visibility though, as it was the fundamental problem of the series. The same geometric code used to represent the different vessels (triangle for hunters, square for corvettes, frigates for diamond, etc.) are still present, but can be quite difficult to distinguish in the midst of a galactic battle. Since the general interface of the game received small upgrades, for a properly clear and intuitive result, it is yet minimally invasive, changeable on the fly, and does not break the flow of the game. As it is with most game reviews, I cannot skip the sound factor, in this case giving an incredible ambiance; the original environment filled with a fine soundscape, are even more enchanting with Gearbox’ maestro baton. The wide colorful space panoramas, are addorned with flattering lights, which obviously makes us gain immersion; but it is only truly mesmerizing when you hear missile exchanges, fire impacts, explosions, and electronic tunes filling your ears… All of it leaves a feeling of satisfaction particularly welcoming, in addition to a reworked soundtrack, which is marvelous in our industry evolution of game music, defying the sense of aged tunes. On rare occasions though, Homeworld Remastered Collection might have some small minor hiccups, such a instances where the game crashes, and the HUD bugs out. This 2015 upgrade does not really change the game in depth, but offers us a contemporary vision of a monument of the space strategy genre, with successful visuals, and a Steam powered online mode, based on the work of community modders. Homeworld Remastered Collection was reviewed using an PC copy of the game provided by 2K Games. We don’t discuss review scores with publishers or developers prior to the review being published. With a name like Homeworld Remastered Collection, there's not much to prove: this remake was essentially to put the license back in use with the graphics standards of our time, and adding a pair of fresh functions as well. Not that the collection is on top of the most ambitious productions visually, the atmosphere is particularly compelling and immersive. It mainly redefines the fact that Homeworld is the best example of a rich and deep genre: solid gameplay, a story that is easy to follow, a great atmosphere, by sprinkling some improvements with modern HUD and a multiplayer mode. A must have for those that played the game, and those who missed it.